The design of the OnePlus 5's back might not be the only thing that is Apple-esque about the new flagship killer. According to some OnePlus 5 users, covering the antenna band on the upper right of the phone leads to a drop off in the number of signal bars that appear while using Wi-Fi. The recent update to Oxygen OS 4.5.2 might have included some sort of fix. One owner of the device says that since the update, the signal bars while using Wi-Fi (2.4GHz) drop off, but then go back up as though the phone was looking for an alternate way to connect to the Wi-Fi network. You might remember the infamous Antennagate issue that affected the Apple iPhone 4. Touching the lower left corner with a bare hand would lead to a drop in signal bars. Apple's CEO at the time, the late Steve Jobs, chided those who complained about this. Jobs told affected iPhone 4 users that they were holding the phone wrong. Apple showed off videos of other phones from other manufacturers having the same problem, and said that all smartphones suffer from this so-called "Left-handed death grip." Apple sent out free rubber bumpers that allowed users to touch the phone in the problem area without fear of losing the signal. For the Apple iPhone 4s, Apple redesigned the antenna and the problem never returned. While Antennagate appears to have been a much larger issue that the Wi-Fi signal drop off affecting the OnePlus 5, perhaps OnePlus should learn a lesson from Apple's experience. The latter was the defendant in a class action suit. Eventually, a settlement was reached and Apple gave members of the class a free bumper case for the iPhone 4, or $15. Steve Jobs and his holding the phone wrong reasoning :D God I miss half the rubbish he spewed. I don't think he ever actually said "you're holding it wrong" he just stated that it's a problem that effects many phones if you hold them in a certain way and showed data to support it. I never had a problem with signal when I had my iPhone 4, I only noticed it when my friend said if you cover the black antenna bands then the signal drops. @Nopers: "I don't think he ever actually said 'you're holding it wrong'". Don't bother defending lying Steve Jobs. He sent an email to a user complaining about the grip of death and told him "Don't hold it that way". Same thing. If you use Google you can find the actual email. and for a brief period of time reviewers began testing "grip of death" in their phone reviews and have since stopped because it was too stupid to begin with. There was a legitimate concern with the iPhone 4 - 5s as it bridging certain gaps would cause signal strength to dive. Is it just me or did I just get 4.5.3? Fast updates from One plus! You, being the biggest joke here, would know best... right FAM? There's now a contender to that title, guess who got roasted by Techie in another article? You know how low you should get to be roasted by Techie. Hi iFanatic, where have you been? Haven't seen many apple praise lately are you back to cover the previous days? I'll tell you a joke, your life. Wow! 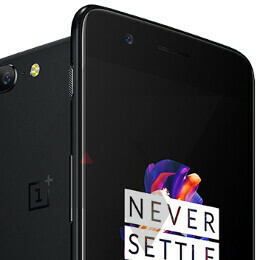 Now Oneplus wants to copy iPhone even in the negative aspects. Who the hell said that Oneplus 5 is what the iPhone 7 should've been? Because it clearly looks like the 5 is trying to be what it wishes to inspire. Seems like iPhone 7 Plus Antenna Band design isn't suitable for OnePlus 5. This is one disastrous launch, or this is part of one plus's marketing hype? OMG you are still calling it a flagship killer, LMFAO It is so obviously not a flagship killer. "they accidentally copied an older iphone feature" LMAO, that's hilarious, brah. Damn.